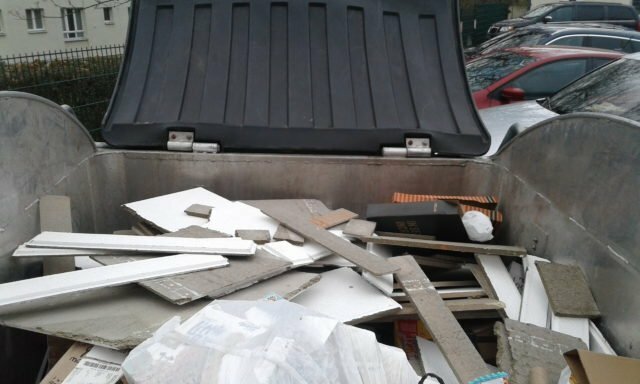 The garrison Refuse and Recycle Branch urges community members to contact the Installation Coordinators to assist in disposal or collection of bulk or hazardous items. As the clock sprang forward, PCS (permanent change of station) season and spring cleaning continue to be in full swing. The Directorate of Public Works reported several incidents on each installation where people dumped items improperly in trash receptacles such as doors, lamps, bulk canned goods, motor oil, batteries, metal materials, generators–even hot charcoal and ash from grills– causing major safety concerns, as well as fines from German authorities. The color coded bins inside the trash islands on-post are labeled with what each container can hold. Pedrotti said the paper recycling bins overflow often due to boxes not being broken-down before being throw inside. “When there is trash in the containers for paper and plastic, the whole load of the truck is declared as trash,” Pedrotti said. A rather dangerous example occurred on Panzer Kaserne near Bldg. 2918; some kind of an acid material, likely from a battery, began to fume and caught fire. “The team that collected the trash noticed some bags smoking and were able ,with the help of the Panzer Installation Coordinator, to extinguish the fire and fumes, but some bags with hazard material ended inside the truck,” Pedrotti explained. The truck also began to fume, and had to be rerouted to a safe location to sort the materials by hand to find and extinguish the cause. This incident is one of many that can create a serious and harmful situation for the driver and fellow refuse personnel. “This potentially also damages the truck, which incurs unnecessary costs to the garrison,” Pedrotti said. Trash containers are rented. 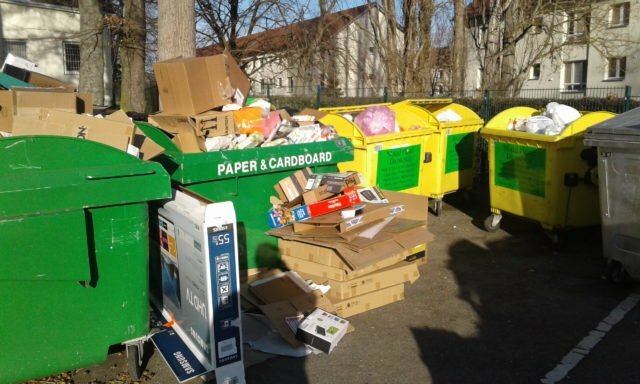 The German authorities can fine the garrison for damage caused to containers as well as improper sorting and damage to refuse vehicles when community members do not dispose of items properly. 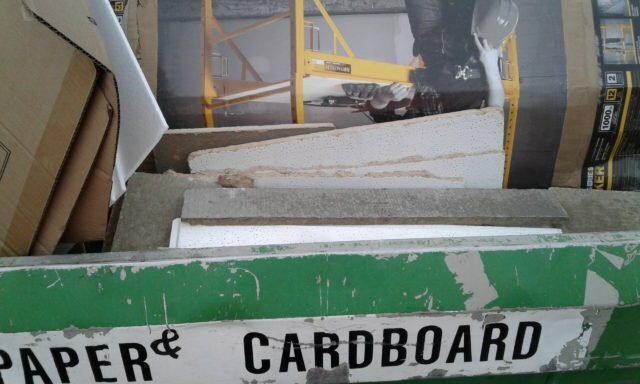 A recycling container clearly labeled for cardboard was filled with drywall. 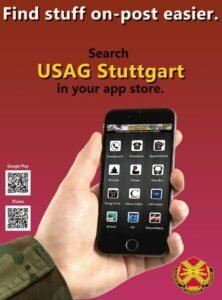 Read more about on-post trash separation here: https://www.stuttgartcitizen.com/announcements-news/on-post-recycling-and-trash-separation.